Yes, it was on fleek!!!! Celebrating Magnolia Yoga Studio's one-year anniversary with Ajax, the amazing owner aka "Barack", Amy Hess aka "Biden", her second in command, this presidential team is setting the Yoga community on fire. We were also joined by her students, customers, and the many local kids from the surrounding neighbourhoods were amazing and joyous. I feel so blessed to have been at the beginning of this community-based studio and can proudly say, "Started from the bottom now the WHOLISTIC krewe is here" ... YASS Queen AJAX... Magnolia Studio embraces diversity, inclusion, self-care, and reflection. The mission of Magnolia Yoga Studio is to heal the community that is serves by bringing the amazing power of Yoga to heal the mind, body, and spirit, which is desperately needed in so many inner-city neighborhoods. The day started out with a breathtaking view of the city from Basin street while enjoying Yoga with Ajax. 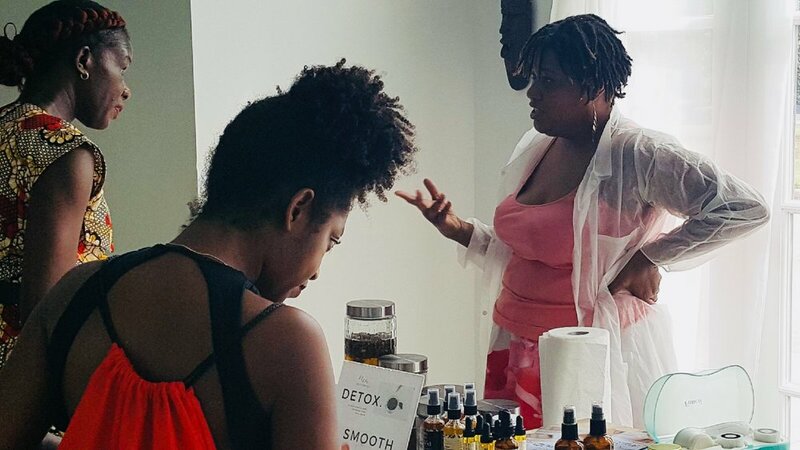 After Yoga, I was glad to give facials to all of the studio's guests and give them lots of information about caring for their skin using plant-based medicine. 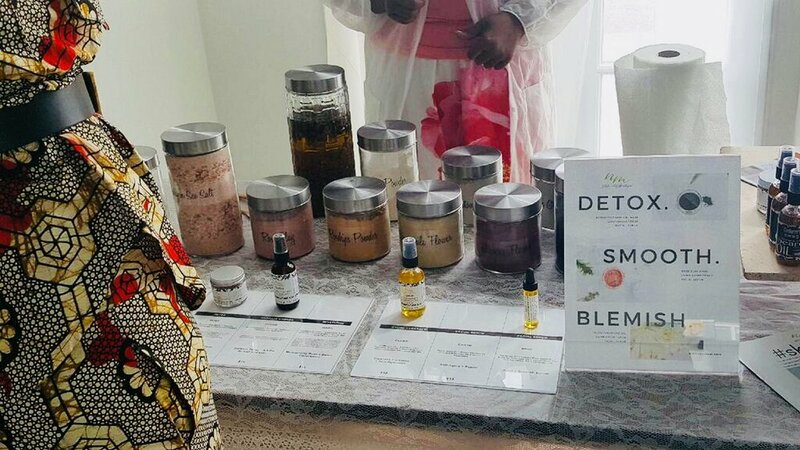 I was also joined by NOLA Organic Spa, the first organic mani-pedi spa in New Orleans and Magnolia Makeup, the first black-owned makeup brand in New Orleans. By mid-day, it was graduation time for 6 of the Studio first Yoga instruction class. The class was just as diverse as the city of New Orleans, from locals to transplants, they even had a soon to be Doctor in the group. The day ended with more food and a New Orleans DJ (if you're from New Orleans you know what I'm talking about). I know that Magnolia will have many more anniversary celebrations and I will be proud to be apart of them. Congratulations Ajax. How Jamaican Black Castor Hair can grow your beard?